When it comes to Intel’s fourth-generation Core processor, Acer is sticking its neck out further than most manufacturers, banking on Intel’s promise of dramatic battery-life improvement to help it sell 23 new models in its Aspire notebook and Ultrabook line, along with six new desktop PCs. Acer released information on the following models at Computex today. 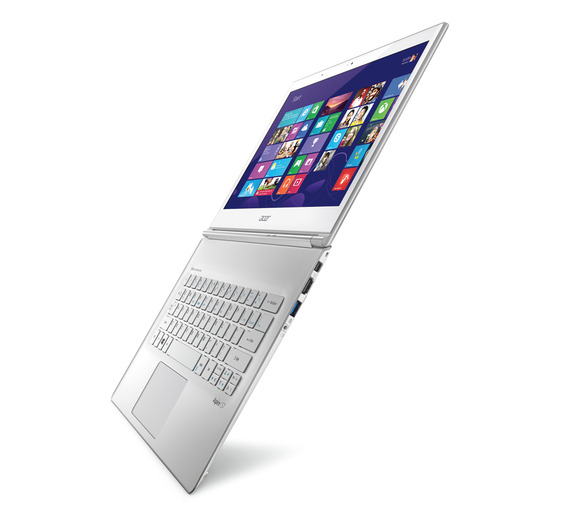 The Acer Aspire S7-392 Ultrabook will be available either with an Intel Core i5-4200U or a i7-4500U processor, 8GB memory, and either a 128- or 256GB SSD. Prices will range from $1400 to $1700. The Acer Aspire V7-482PG-9884-U Ultrabook will feature an Intel Core i7-4500U processor, 12GB of memory, and a 1TB hard drive. A discrete graphics processor—Nvidia’s GeForce GT750M, with a dedicated 4GB frame buffer—will drive its 14-inch IPS panel. This $1300 model will be available only at Acer.com. 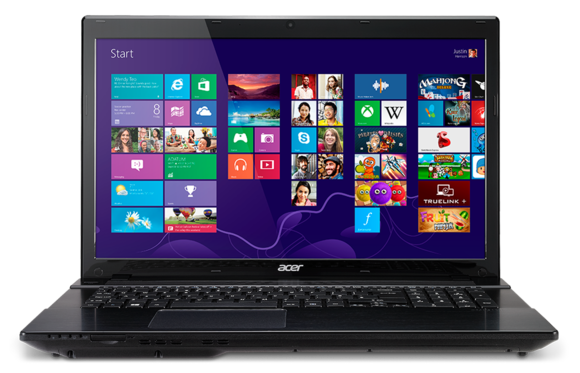 The Acer Aspire V3-772G series are designed for gaming on the go. Acer also announced the Acer Aspire V3-772G series of gaming laptops. These machines will feature an Intel Core i7-4702MQ processor, up to 12GB of memory, and up to 1TB hard drive. Acer’s gaming laptops will have 17.3 inch screens with native resolution of 1920 by 1080 pixels driven by Nvidia GTX760M graphics processors with 2GB frame buffers. Prices start at $1000. Acer is refreshing its Predator series of gaming desktop rigs with Intel Core i7-4770 processors and a whopping 32GB of memory. 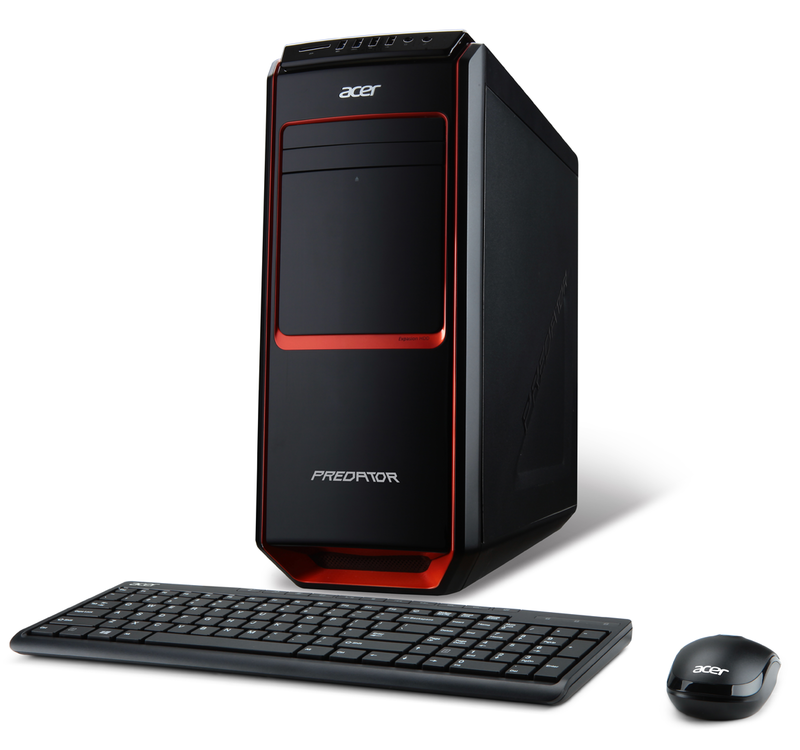 Acer provided advance information for only one of the six desktop PCs it intends to ship. The Acer Predator AG3-605-UR20 will consist of a 3.4GHz Intel Core i7-4770 processor, 32GB of memory, and 3TB of storage. The Predator will also be outfitted with Nvidia’s GeForce GTX660 graphics card with a 1.5GB frame buffer.